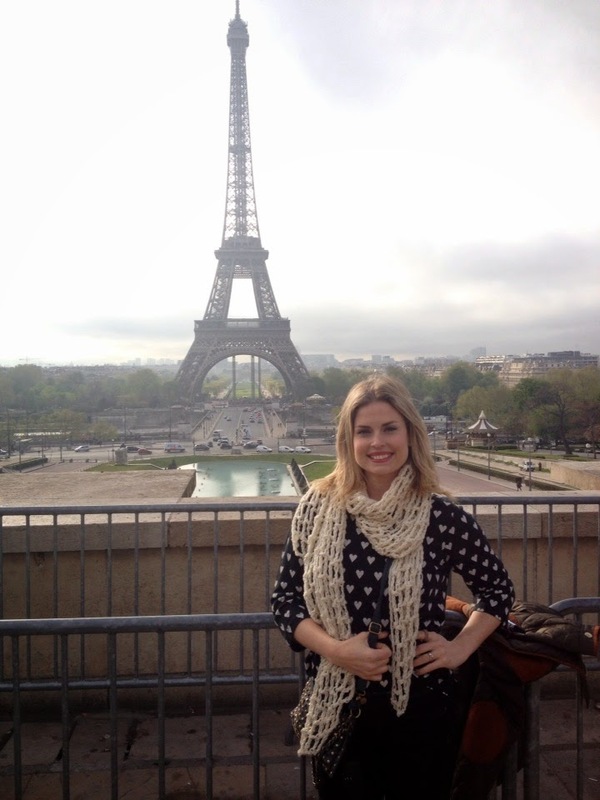 The second day in Paris was all about the Eiffel Tower. 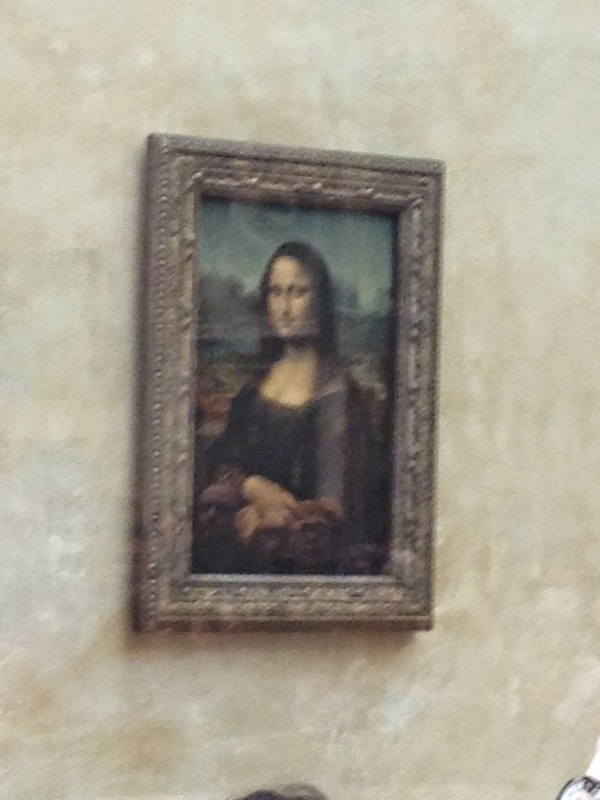 Even though I had seen it the day before, today we got to see it up close. 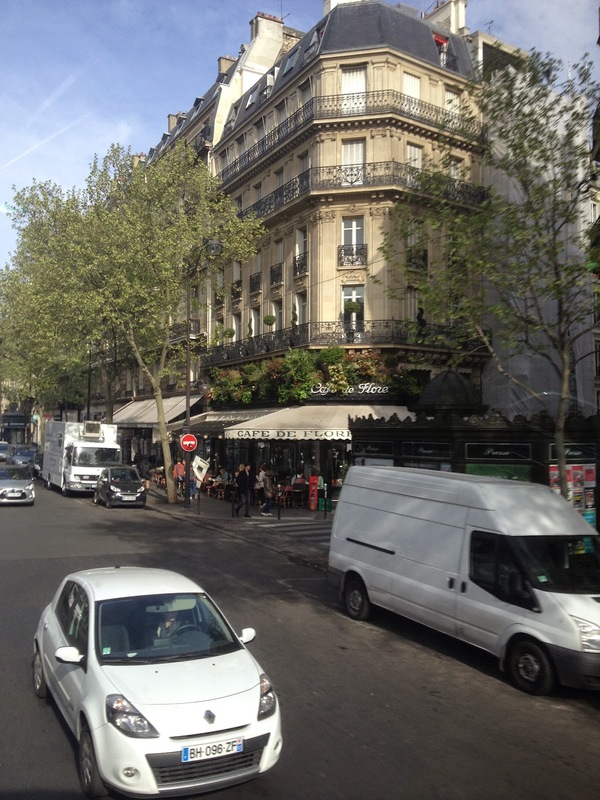 The morning began with a driven tour around Paris. 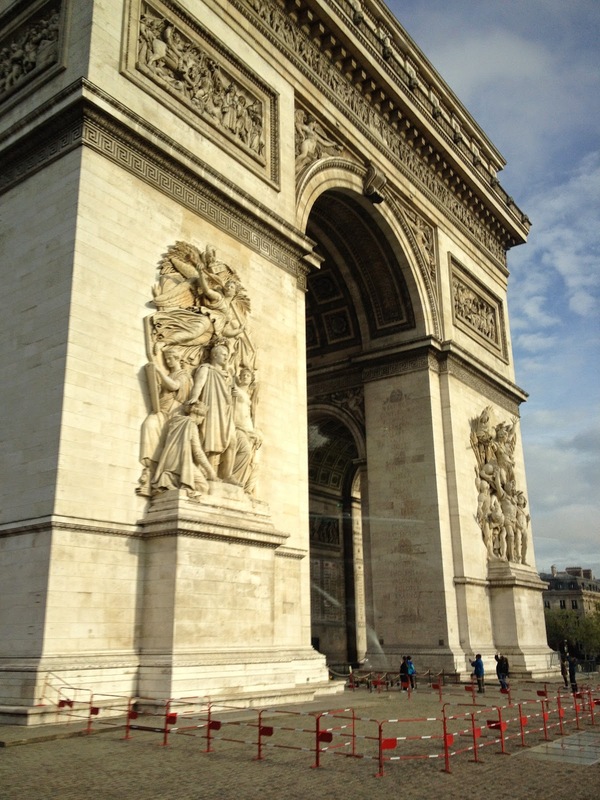 We saw the Arch de Triumph and learned about its history. We also drove though various neighborhoods learning about their history and back story. 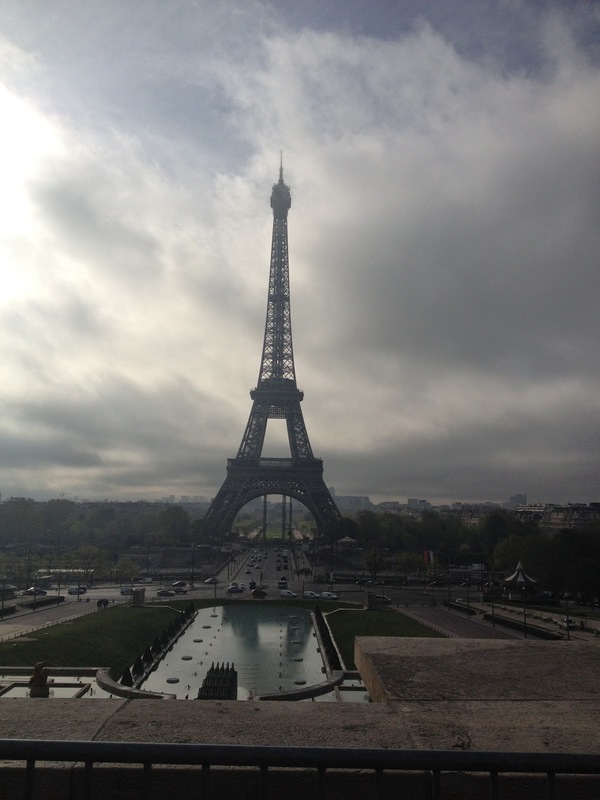 At the end of the tour, we stopped at a square that overlooks the Eiffel Tower, and we were able to spend some time taking pictures. 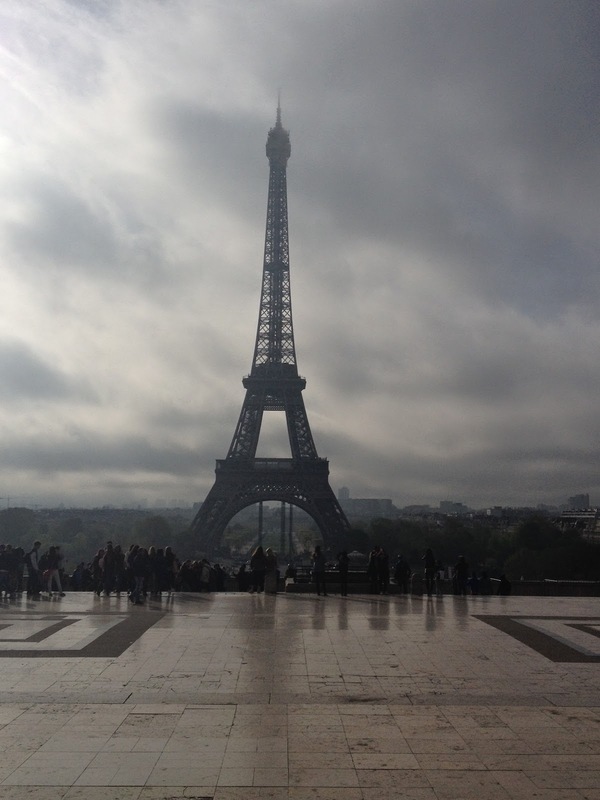 It was an overcast morning, but eventually the fog cleared and we could see all the way to the top. It was a beautiful view. 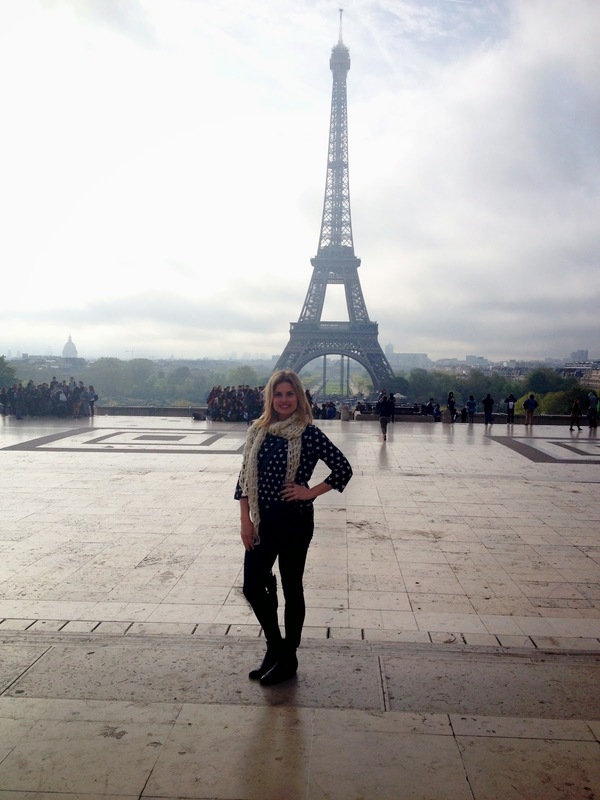 It's still like a dream that here I am standing in front of a monument I'd dreamed of seeing since I was a young teen. It really is as beautiful as I imagined. Here is a part of the group. I couldn't take enough pictures of it. 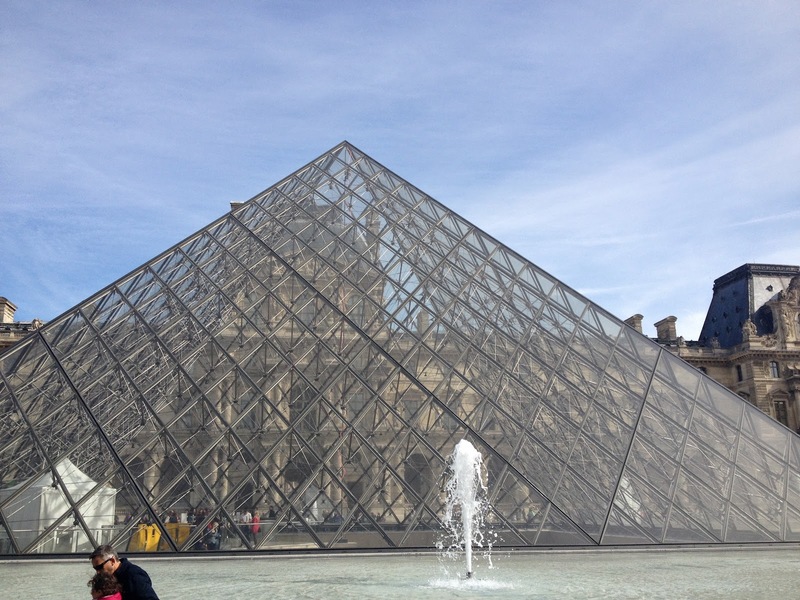 Our next stop was Le Louvre. 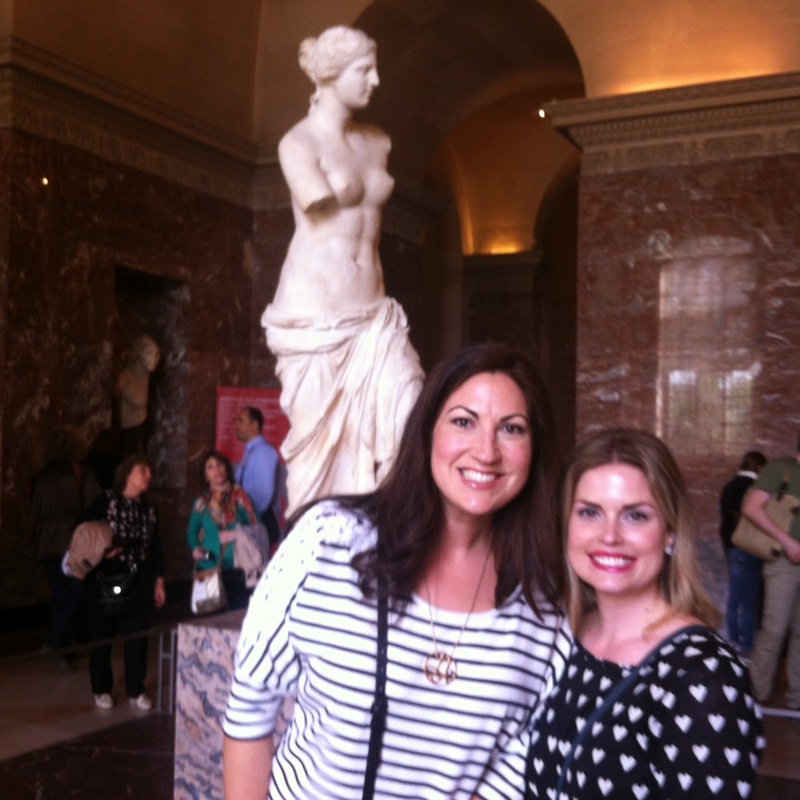 We were able to see some the most famous pieces of art such as The Mona Lisa and Venus de Milo. 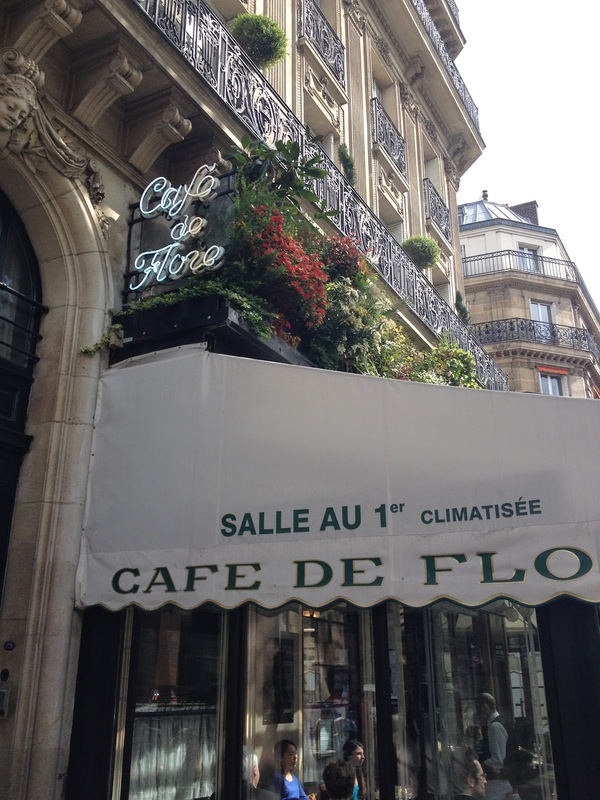 After perusing a view galleries, Andrea and I left to grab lunch at the famous Cafe de Flore. 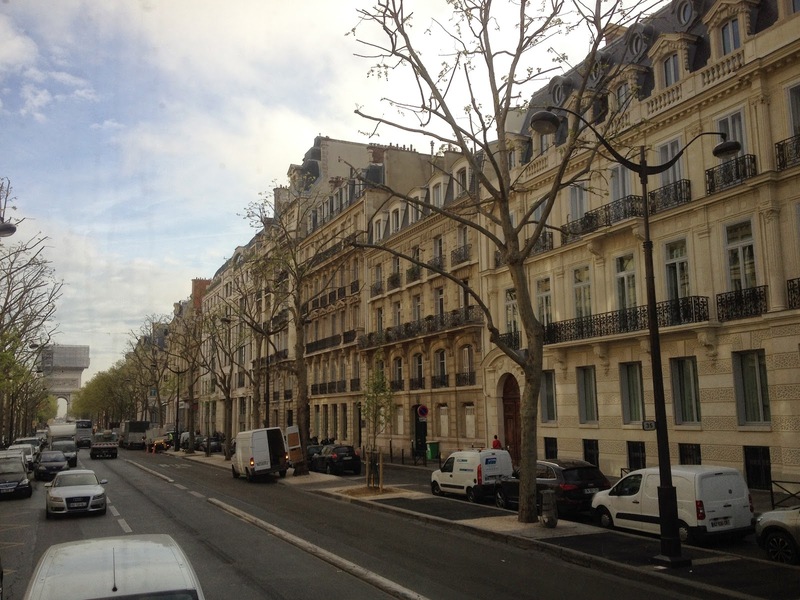 The tour guide had pointed it out to us mentioning how some of the most famous modernist writers used to gather there when they came to Paris. 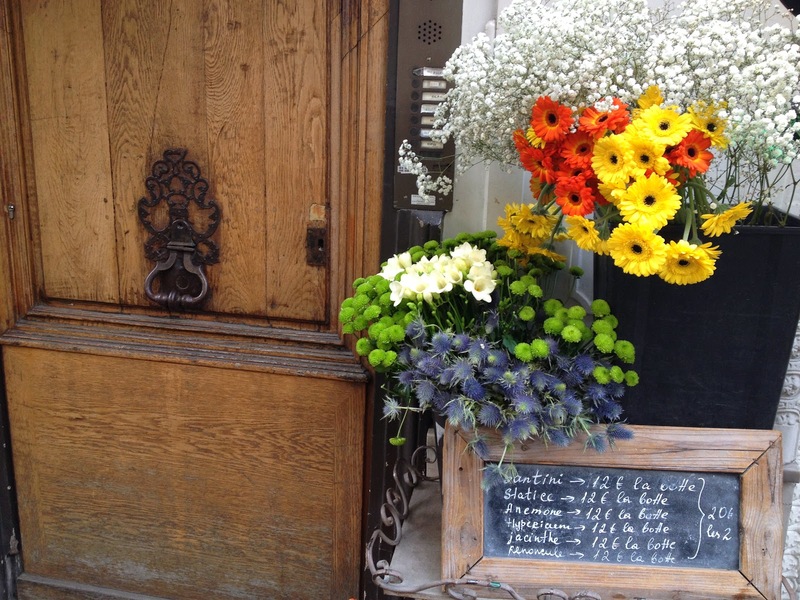 Andrea and I both wanted to participate the Parisian leisurely cafe experience, and this cafe was perfect. We were able to find a seat outside right away, and our waiter was so nice. 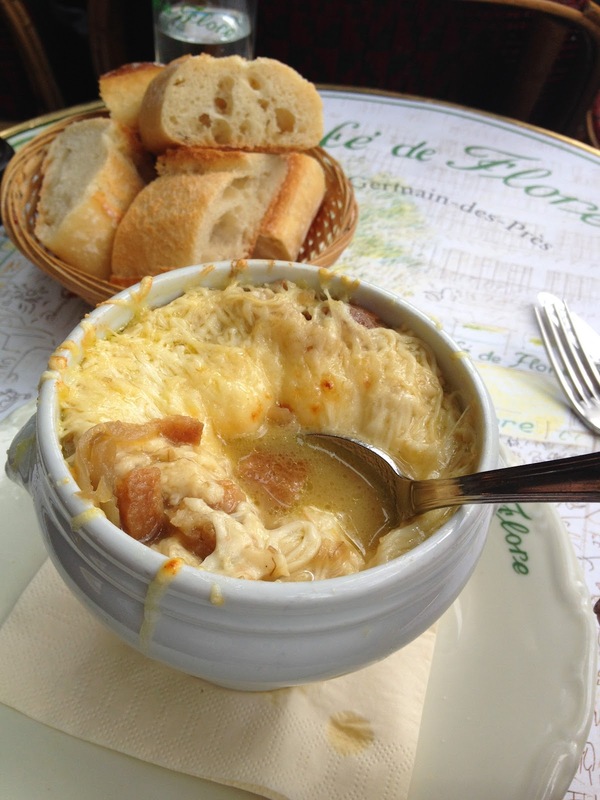 I just had to order soupe a l'oignon, mais oui! How could I not? It was so good and cheesy! Perfect. Just what I wanted. 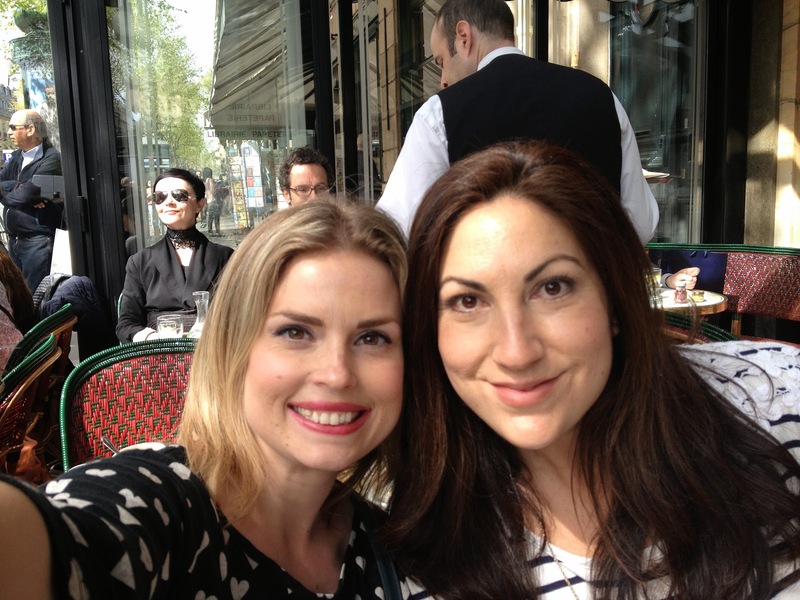 We took our time chatting and enjoying the sunshine just as Parisians would. After some trouble figuring out the check (this was our first sit-down meal), we started heading back to our meeting place, but enjoyed the beautiful city views along the way. My real, authentic French onion soup! The Phantom of the Opera Theatre! Soon it was time for dinner. The dinner locations were arranged by the tour company. Some dinners were better than other. This night's dinner was my least favorite. It was called a flamencuch. It's basically flat bread with a sour cream like spread, onions and type of protein sprinkled on top. Seeing as I do not like sour cream, it was not my favorite. Eventually, I scraped off the spread and tolerated it, but once they brought out dessert, a flat bread covered in a chocolate spread and chocolate shavings, I got my fill. 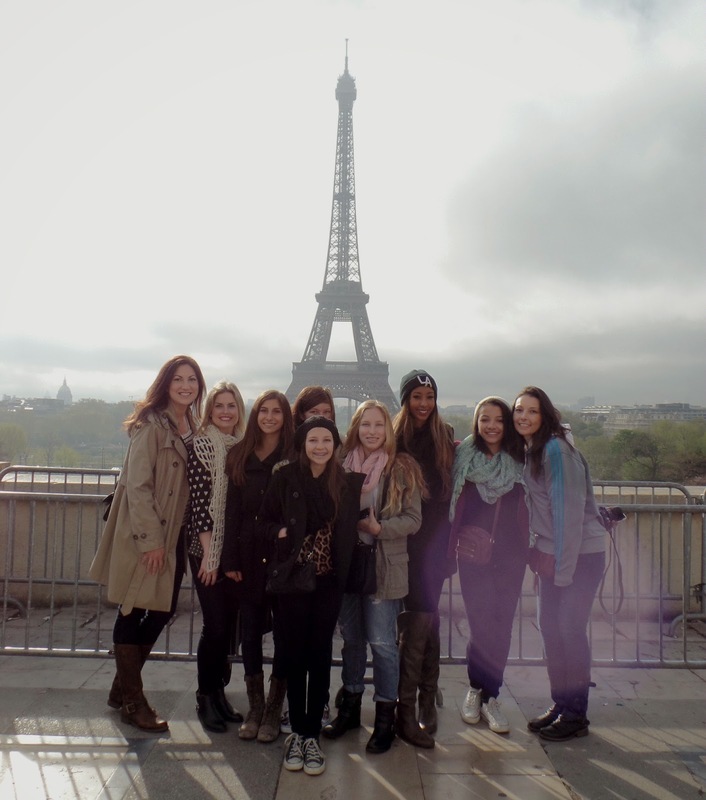 One of the major downfalls of the trip was the fact that we could not go to the top of the Eiffel Tower. They gave us some BS about a problem with reserving tickets and there being a long wait to get thmrm. A big no-no for the tour company! In an attempt to make up for us not going on top of the Eiffel Tower, they took us to the top of another really tall building that allowed of to have a breathtaking view of Paris. It really was a beautiful sight. 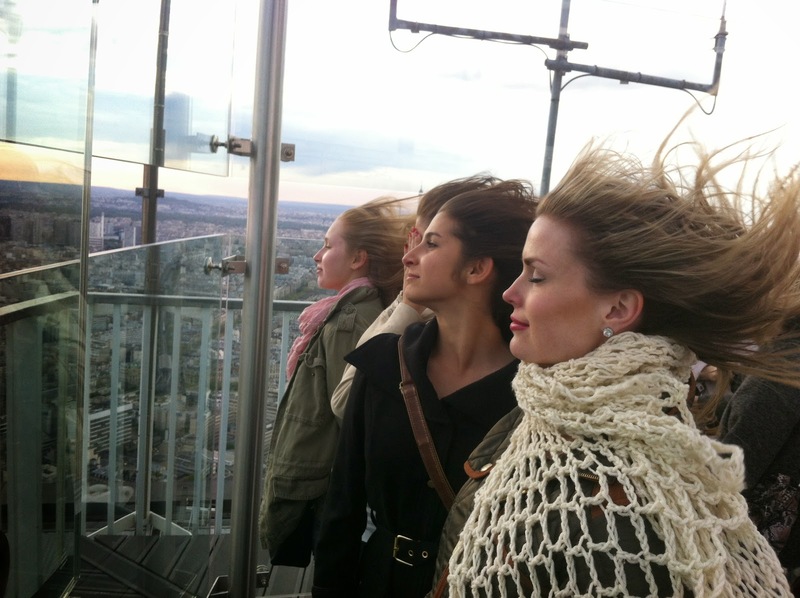 It was so super windy up there. Like no joke windy! 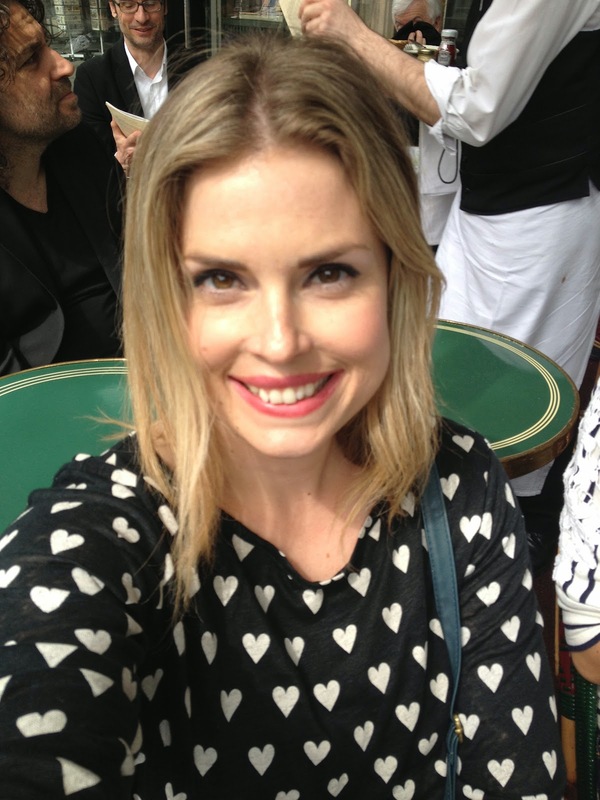 That night was went on a river cruise down the Seine River to see Paris at night. It was an okay cruise. 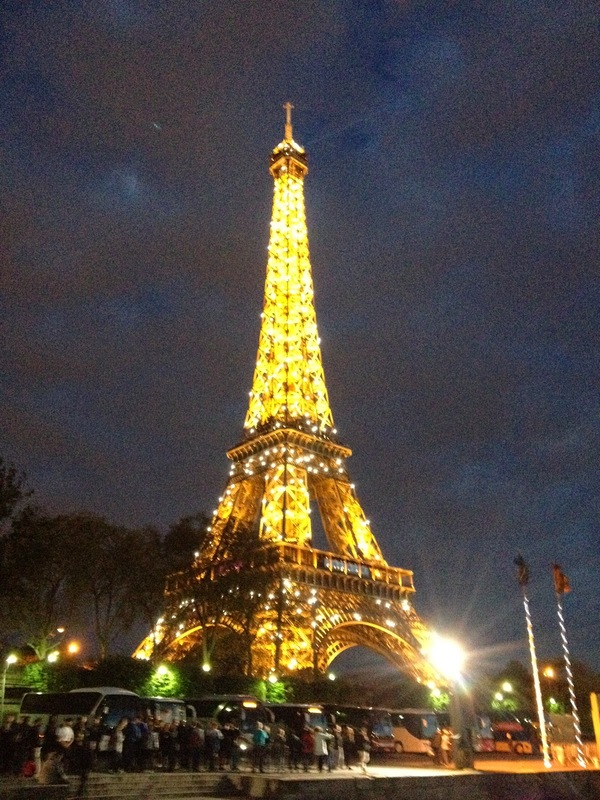 The best part was seeing the Eiffel Tower lit up and twinkling and sparkling. It's magical. What girl doesn't love things that sparkle? The rest of the cruise was okay. We mostly saw the backside of buildings. We did see the pretty bridges, but I would have rather walked the bridges and seen more of the city lit up at night by foot. My favorite picture that I took. 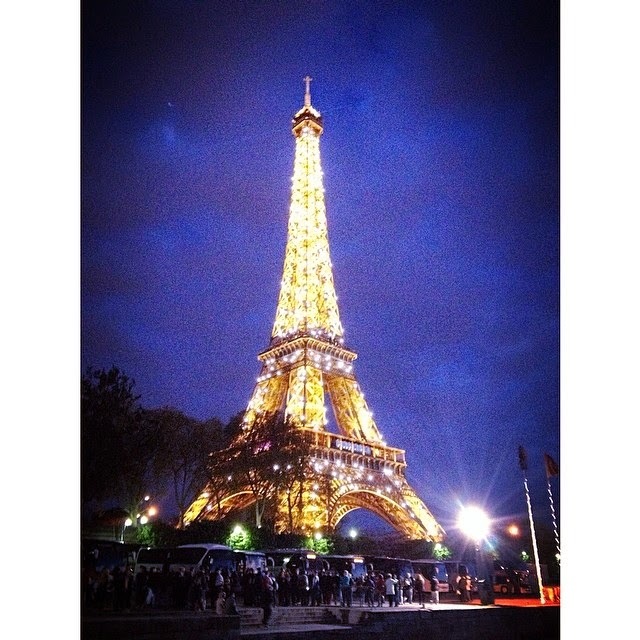 The Eiffel Tower changes colors. Sometimes it's silver, sometimes it's a dark gray, and sometimes it's gold. It all depends on how the light is hitting it and the time of day. 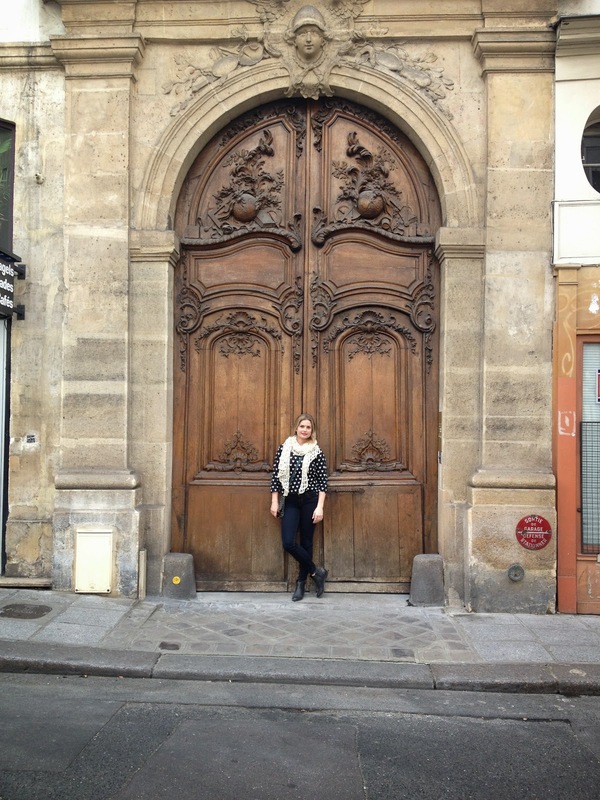 The next day we left Paris for Normandy. 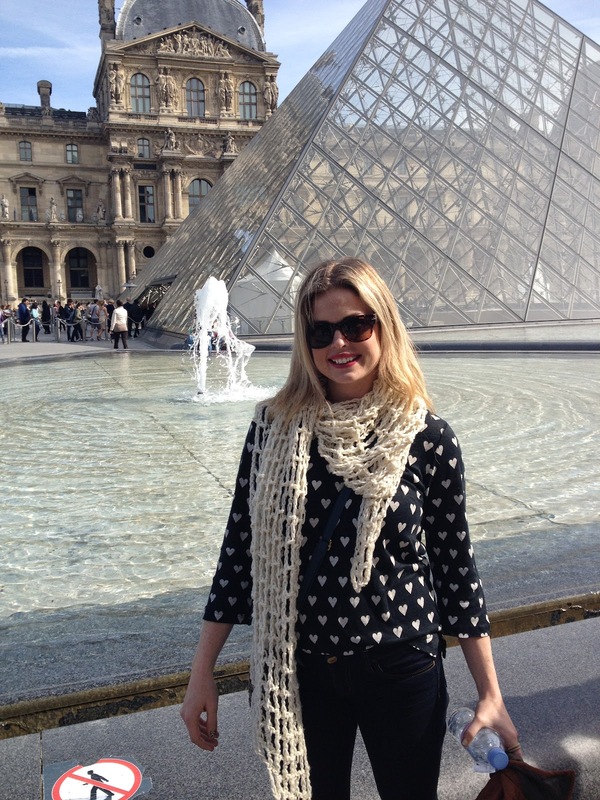 We didn't spend nearly enough time in this beautiful city.